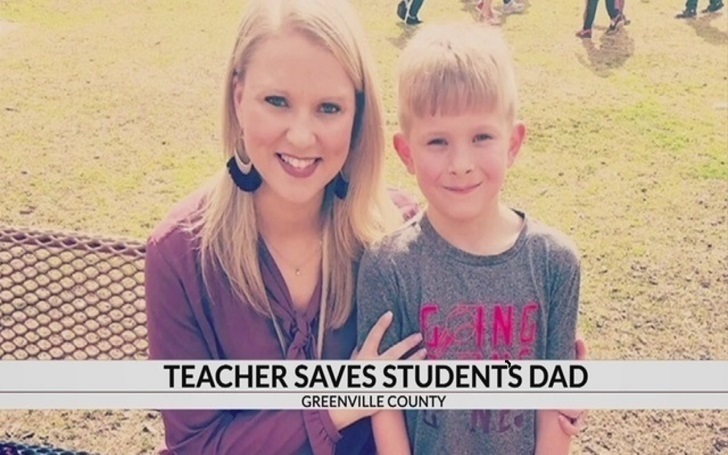 A South Carolina first-grade teacher, namely Keller Sutherland, helped a "brave" student of age 7 who she found riding a bike on a highway to save his father’s life. According to a video posted to the Greenville County School’s Facebook, the teacher said that she was driving home when she saw other cars zipping past the boy pedaling down U.S. 25. Sutherland recognized the boy as her former student Cameron. She turned her car around immediately and asked him what was happening. Cameron told Sutherland that his diabetic father had collapsed at his house. He first tried to call 911 but he did not know the password to the locked cell phone of his father. The boy said he also tried the neighbors but he didn't find anyone home. His then took his bike and rode it five miles to his grandma’s house. Sutherland called 911 along the way and first responders followed her and the 7-year-old to his house. His father was found barely conscious on the bathroom floor. He was treated and recovered at the scene. The teacher said Cameron is a real hero, calling him the "bravest little boy" she had ever seen.